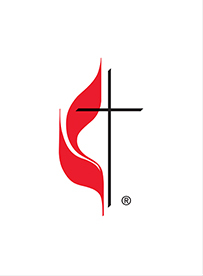 Tanner United Methodist Church exists to make disciples of Jesus Christ in the Tanner community and beyond. We have a rich history of service to our community, ranging from serving as a hospital during the Civil War to hosting the Boys and Girls Club in the 1990s. We have had people following Jesus and serving our community for well over a century! We are standing on the legacy of those who have gone before us and are creatively engaging others for Christ in the present. We invite you to come see for yourself what makes Tanner UMC so special. When you're here, we treat you like family. More importantly, when you're here, we pray you come into contact with Jesus, who brings hope, strength, and purpose to our lives. The United Methodist Church was formed as a merger in 1968 between The United Brethren and The Methodist Church. We trace our heritage back to a revival movement that happened in the Anglican Church in 1700s England led by a priest named John Wesley. We are a church who sees God primarily as a God of love and grace, a God who meets us no matter where we are and moves us toward the beauty of a life submitted to Jesus. Curious? Explore here.